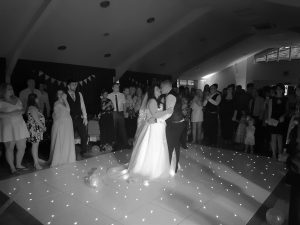 A great day celebrating with Mr & Mrs Almond! 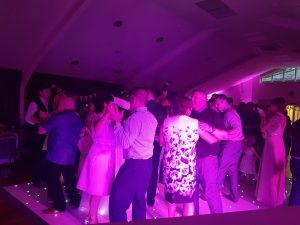 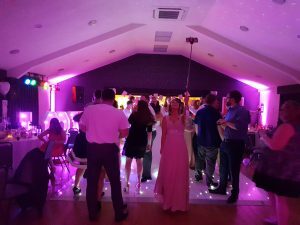 They had booked our popular wedding DJ & host Andy B to cover their wedding breakfast & evening reception at the Mansion House set in Victoria Park St Helens. 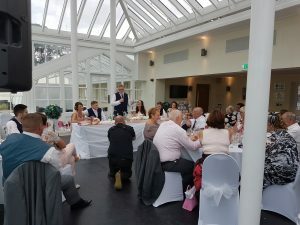 The wedding breakfast was held in the Orangery & Andy provided background music throughout, a choice of songs for the bride & groom’s entrance plus hosted the speeches.